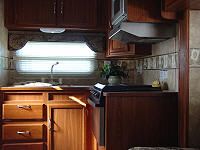 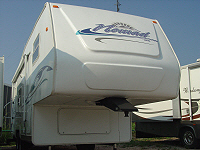 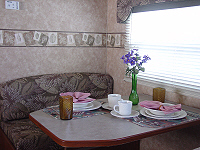 This unit comes with a beautiful jumbo slide, rear bath, giant shower, bedroom with lift-up queen bed, and rear kitchen. 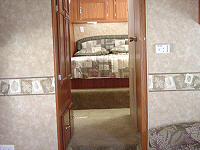 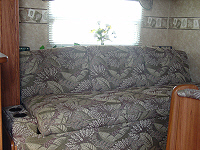 It has a luscious interior package of Sage/Oak with embossed Vinyl flooring. 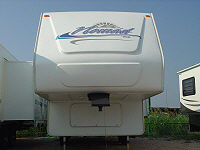 To complete an exquisite extior, it comes with A&E 9000 side awning and a Full Gel Coat Fiberglass in a beautiful aluminum structure.